A federal appeals court has left undisturbed a decision holding that homeless people can’t be prosecuted for sleeping on public property unless alternative shelter is available. The San Francisco-based 9th U.S. Circuit Court of Appeals denied en banc review on April 1. Courthouse News Service and the Idaho Statesman have coverage. The refusal leaves in place a September panel decision that held prosecuting homeless people with no other place to sleep violates the Eighth Amendment’s ban on cruel and unusual punishment. The panel ruled in a challenge to an amended Boise ordinance that bars sleeping on public property, except when shelters were full. The 9th Circuit said homeless people could still be turned away from shelters for other reasons, such as exceeding stay limits or failing to take part in homeless programs. Circuit Judge Milan Smith dissented from the refusal to rehear the case en banc in a decision joined by five other judges. Smith said the “misguided” panel decision conflicts with reasoning underlying decisions of two other federal appeals courts. One of the cases upheld an ordinance barring camping on public property. The other upheld an ordinance criminalizing the public possession of alcohol as applied to homeless alcoholics. Smith said the ruling could lead to courts overturning bans on defecating and urinating in public. He also warned of tent cities blocking pedestrian traffic, and included a photo of tents on a public sidewalk in Los Angeles. Judge Marsha Berzon, author of the panel decision, objected to the photo in an opinion concurring with the denial of en banc review. She said the photo was not part of the record, and it does little more than illustrate that criminalizing sleeping in public places is not a viable solution to the homeless problem. 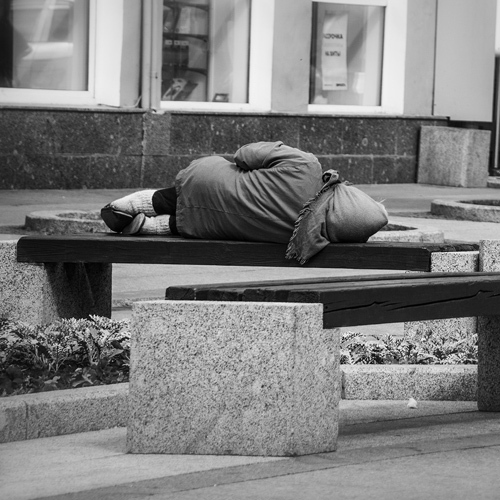 The homeless crisis “continued to burgeon while ordinances forbidding sleeping in public were on the books and sometimes enforced,” Berzon wrote. The National Law Center on Homelessness & Poverty applauded the en banc refusal in a press release. NLCHP had challenged the Boise ordinance along with Idaho Legal Aid Services and Latham & Watkins. The case is Martin v. Boise.